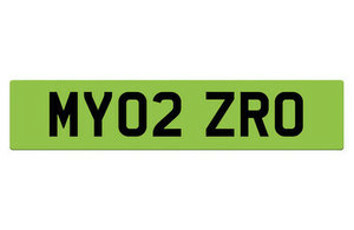 Ultra-low emission vehicles could be fitted with green number plates under Government plans to promote their take-up. The Department for Transport said the plates, which are already used in places such as Norway, Canada, and China, could be available on vehicles like electric and hydrogen cars. Officials said the plates could help support local incentives for electric vehicles, such as access to bus or low emission vehicle lanes, electric charging bays or ultra-low-emission-zones. The plans are part of a forthcoming government consultation that will seek views on whether green plates could work in the UK, and if so, what they should look like. Officials said the ‘eye-catching’ plates could appear on UK vehicles ‘in the next few years’. AA president Edmund King said that drivers ‘shouldn’t be forced to display their green credentials on their number plate’ however he added 'as the number of green plates increases it could help convince previously sceptical drivers that electric vehicles work'. The announcement comes ahead of the UK hosting a Zero Emission Vehicle Summit this week, with an address from prime minister Theresa May on Tuesday (11 September).